It seems that for every paid or subscription service on the web these days, there's a long list of competitors offering the same thing for free. E-mail, data storage, web hosting, entertainment - there are free and paid options in each of these arenas. Everybody knows, however, that free does not always mean free. Slow speeds, cluttered interfaces, and functional limitations can be costly, especially if you're using the service for business purposes. In order to make the right choice between free and paid services, you have to balance the pros and cons. Forum hosting is no different. More and more forum owners are choosing to use a dedicated forum service provider these days - rather than buy, install and maintain software on their own server space. 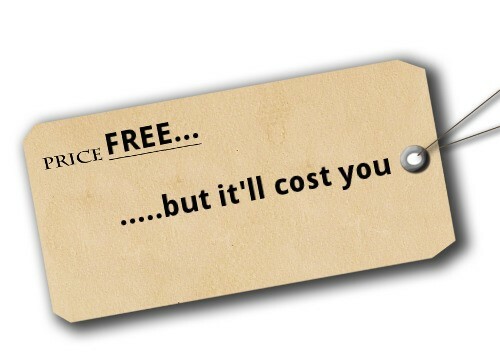 But the moment you choose to run your forum with a service provider, you're faced with another decision: free or paid? A quick search will reveal a healthy number of hosting services, both free and paid. In order to help people make sense of their options, we've rounded up some of the key differences between free and paid forum hosting services. Read on, and see for yourself what kind of service would best meet your needs as a forum owner. If a company is hosting forums for free, chances are they haven't invested much in building a product that's easy to use. It's simple economics - nobody will be able to code and continually improve the system if no revenue is coming back to them. This is one of the disadvantages of free services. Cluttered and confusing admin systems make it more difficult to operate and maintain a forum. In the end, the user experience is negatively affected. Not all paid or free services are created equal, but the best administrative panels tend to come from paid service providers like Website Toolbox. The experience of controlling and configuring the forum is streamlined, effective, and time-saving - due in part to the resources that allow constant improvement. Administrative support is a key element in your decision whether to use free or paid services. There are so many configuration options to begin with, and as the user base grows, the need for support will arise. Well-designed control panels make a huge difference, but even in the best case scenario, there will be situations in which expert help is needed. Free hosting providers offer the undeniable advantage of charging nothing for their services, but at the same time, they come with the disadvantage of offering little to no support. What happens when moderation problems arise, or you want to integrate your forum into an existing site design, or you can't find the configuration option you're looking for? You'll be left to figure it out for yourself - or scroll through heaps of web pages in search of answers. Not all paid services offer the same level of support - but the best providers offer their members free support via chat, phone or email. Website Toolbox, for example, offers this kind of support 17 hours per day. They assist users with all aspects of the forum, from setup and configuration to moderation and strategy. The difference here is measured in terms of time, effort, and headache. It helps to have experts on hand who know the system and can guide you through any forum-related challenge you may face. With the limited or non-existence support of most free service providers, you'll have lower out-of-pocket expenses (only slightly, since paid services are still very cheap), but you'll send more time and energy spent finding the solutions you need. Functionality is often limited with free service providers - advanced features are missing, design integration is difficult or lacking, or the forum can only handle a limited number of topics or threads. None of these are serious problems for the casual forum in which not much growth or activity is expected. However, forums with high numbers of current or projected users must think carefully about their requirements for configuration, design, and other advanced features. Most of the time, free service providers cannot keep up with these requirements. Excessive activity causes the system to slow down or crash, and administrators find themselves with a long list of constraints that work against their technical needs. High-end service providers like Website Toolbox solve these problems with a robust suite of configuration options, tools that help you integrate the forum seamlessly into your existing design and signup systems, and redundant servers that eliminate the chance of service interruptions. If you want to link the forum to an existing domain name, paid service providers will offer it as a standard part of their service, while free providers activate charges and become "not so free." Another trade-off for free forums is the advertising they impose. Since they don't make revenue by charging people to use the system, they enter into agreements with various advertisers and place ads on your forum. This is part of the user agreement, and the result can be an overwhelming number of flashy ads on your forum that bring you little or no cash. Again, if this is worth it to you as the forum owner, in order to keep your overhead costs at zero, then it could be a great choice. But most forum owners don't want their forums flooded with advertisements - and if there are banners, they want to be the ones getting the paycheck! Website Toolbox offers two ways to monetize your forum. You can charge your users a fee in order to access the forum, or you can place your own advertisements as you see fit, and make money that way. As the number of users grows, this can become a significant revenue stream. In the same way, free hosting providers often brand their forum with their own company name. On every page of the forum, you'll see something along the lines of "free forum provided by XYX." The problem with this type of imposed branding is that it makes the forum look inherently less professional and legitimate, especially if it's part of a larger company website. Paid service providers do not, of course, impose branding on their forums. All branding decisions are left to the forum owner to decide. Since free forum service providers generate revenue from placing advertisements on your forum, the advertisers have a say in what kind of content is appropriate. This isn't a problem for forums that definitely don't have adult content - but for others, even something like a sheer shirt can lead to the forum being taken down and banned without warning. Forum owners who don't want advertisers deciding what kind of content is appropriate should steer clear of hosting providers that maintain strict content policies. Paid providers like Website Toolbox leave questions of appropriateness (taking local and federal laws into account) to the forum owner, and do not monitor the content of the forum. In web forum hosting, as with many other online products and services, you get what you pay for. But in this case, the difference between zero dollars a month and five dollars a month is huge. That modest fee brings you a host of advanced features, freedom from imposed branding, continuous support, and robust infrastructure that supports growth. A simple forum with a small number of users may do just fine with one of the many free providers out there. But for forum owners who want to be taken seriously from the start, whether it's a professional forum or a high-quality hobby forum, the features that come with paid hosting providers might be too good to pass up.